IN PURSUIT OF SILENCE is a meditative film about our relationship with sound and the impact of noise that will be released globally. The award-winning Los Angeles-based filmmakers are currently in the final stages of production, and have launched a Kickstarter campaign to finish the film. The funding will allow them to complete the last few production trips and move deep into the editing process towards a final cut of the film. 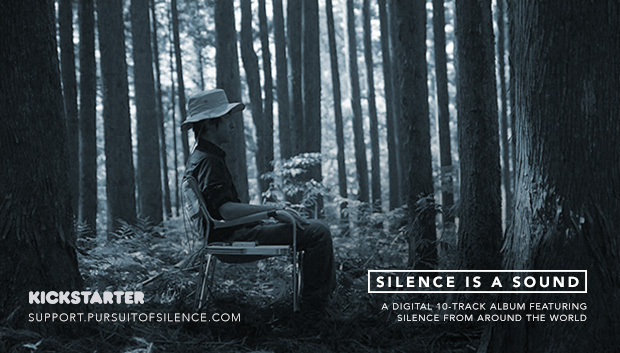 This unique crowdfunding campaign includes a range of exclusive rewards for backers to engage with silence and sound, including 30 minutes in the quietest place on earth, dining at a silent meal (to be featured in the film! 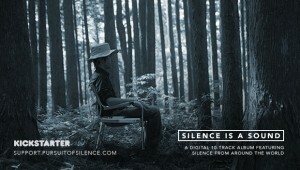 ), a custom made “Silence Kit”, pre-orders for the completed film, limited edition prints, and more. All funds raised will help the film to serve a catalyst for a global movement towards a better sounding world. The campaign ends November 7, 2014. See a short video and more details about the project at http://kck.st/1vnGOxz.